Eyelet curtains should be hung from curtain poles. 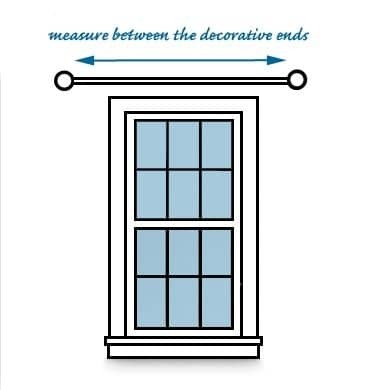 The inner edge of the eyelet is set down 3cm from the top of the curtain so you need to allow for this when measuring or your curtains will be 3 cm too short! 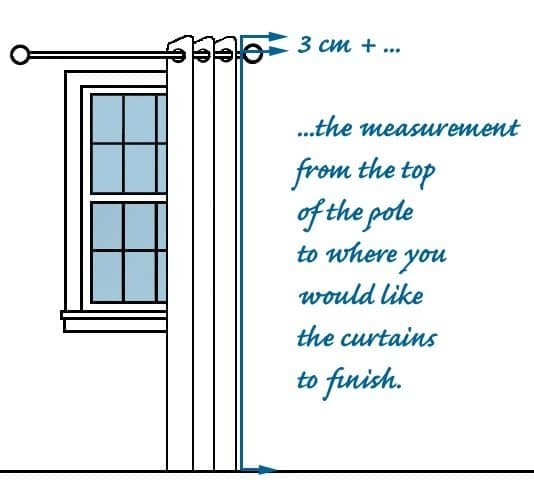 So, for example, if my finished drop from the top of the pole is 228 cm, I will add 3 cm and then enter a drop of 231 cm when ordering eyelet headed curtains.